Get your friends, family or coworkers together and experience macramé! 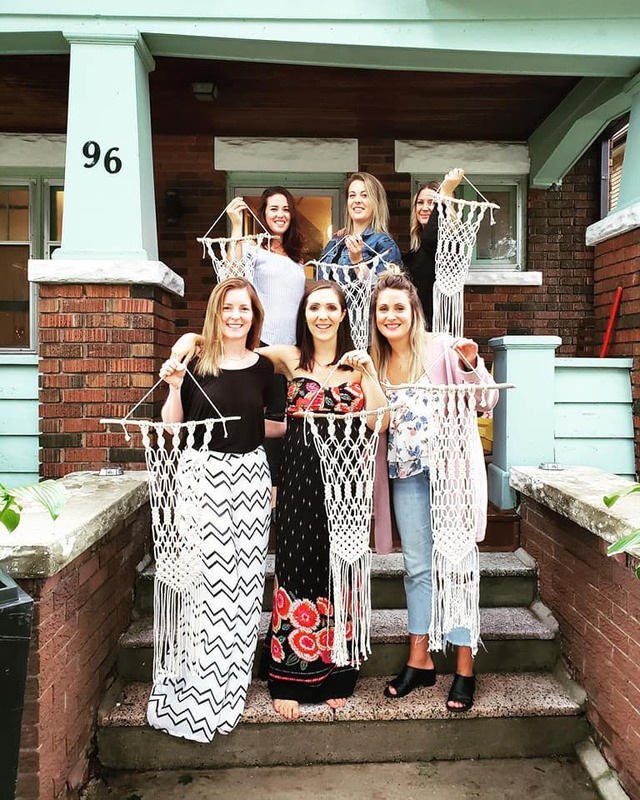 Macramé - the art of knotting - is an amazing way to bring people together to learn a new skill, while connecting and having a good time. Perfect for birthdays, backyard and bridal parties, team-building, or meditation retreats. Drawing on her 20 years of experience as an educator, facilitator, and social worker, Tanya offers each participant a solid grasp of technique and a compassionate space to learn and reveal their unique visions. She emboldens a new generation of textile and fiber artists to embrace macrame’s calming, grounding, and meditative effects, while passing along the legacy of traditional knotting. 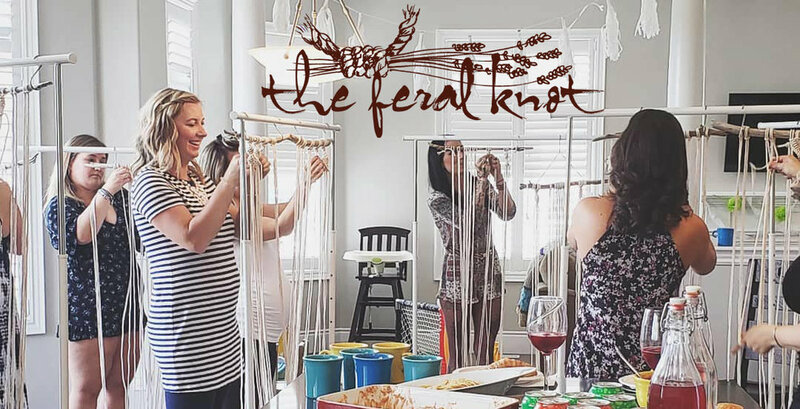 A minimum of 8 participants are required to book a macramé session. Half of the full payment is required in advance to book date. The remaining half must be paid within 72 hours of the event. If you must cancel after paying in full, you will be refunded at 50% as I will have already purchased and processed your materials by that point. Please follow the Register button below to tell us more about you and your group and what you are looking for so that we can co-create an amazing macrame event!